The 20.52kWp system at Holy Trinity Primary School. Image: RepowerBalcombe. RepowerBalcolme has completed its latest community funded install at a primary school in West Sussex in a sign that the economics of such projects are now “coming back” following feed-in tariff cuts. 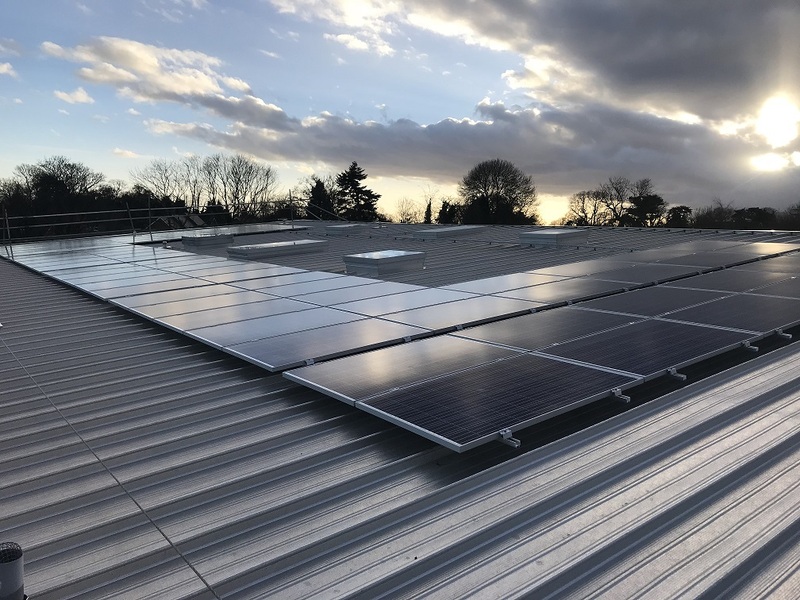 The 20.52kWp system at Holy Trinity Primary School in Cuckfield represents the ninth project to be completed by the group, having now installed 163kWp of community funded solar in the local area. The system was fully funded by RepowerBalcolme in exchange for all of the FiT income and a small maintenance fee, with the school benefiting from 20% of their electricity needs being met by the 18,000kWh generating annually by the system. This is expected to save the school £1000 on their energy bills each year. Parker explained: “We've had community fund money which has essentially subsidised the system because they weren't economic on their own. RepowerBalcolme has funded the whole project and then the school are getting the very reduced price for maintenance. Following cuts to available feed-in tariffs, and increasing business rates brought in last year, the economics behind solar for schools have suffered considerably in recent years. However, Parker claims that just a year out from the end of the FiTs regime, the business case has returned. “This was our next project in our line of things, we hadn't done a school for a while. Interestingly now that the economics are coming back for doing it again prior to the end [of the FiT], a number of other co-ops are gearing up to doing some more schools,” he explained. RepowerBalcombe grabbed headlines in 2013 when it was formed to oppose plans to frack oil in the village. Following a summer of protests which saw Balcombe become the focal point for the national anti-fracking movement, local people set up a solar co-operative with the support of charity 10:10. Since then they have helped develop a 5MW commercially owned solar farm, raised thousands to fund new rooftop solar installations and last year installed a 12kWh battery at a school in East Grinstead.